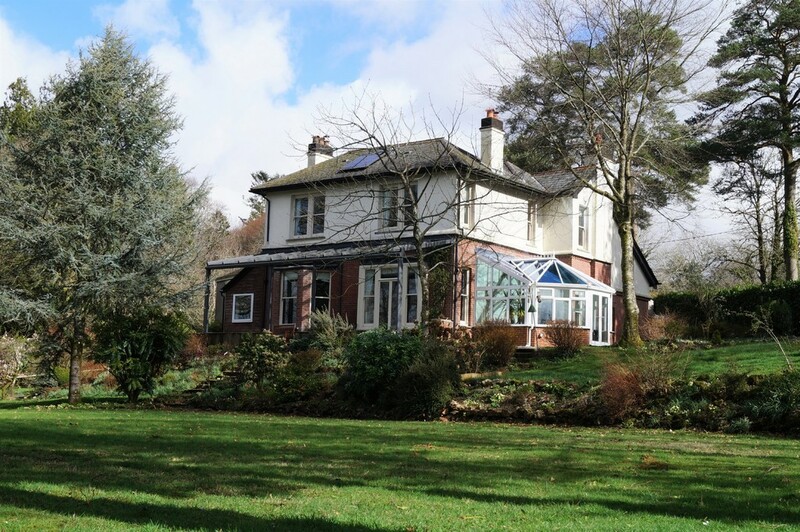 Enjoying SUPER VIEWS, an ELEGANT EDWARDIAN COUNTRY HOUSE with five bedrooms, one bedroom ANNEXE, CONSERVATORY and PERIOD FEATURES, in APPROXIMATELY THREE ACRES including GARDEN and PADDOCK, within Dartmoor National Park. 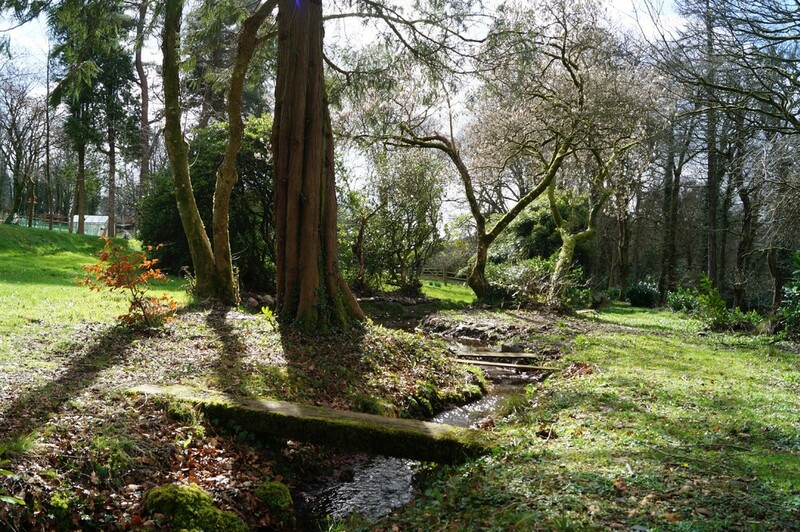 SITUATION A substantial country house with annexe occupying its own extensive grounds and gardens, located in a rural, but not isolated, position on the edge of the Dartmoor National Park close to the popular village of Lydford and within easy reach of the popular market towns of Tavistock and Okehampton. In addition, the A30 dual carriageway provides a quick link into Cornwall or to Exeter to connect to the M5 motorway and fast Inter City rail links to London, Bristol and the North. The city of Plymouth is 25 miles south with ferry services to Roscoff, Brittany and Santander, Northern Spain. Exeter and Newquay airports are less than 1 hour away and provide flights to London, UK provincial airports and international destinations. 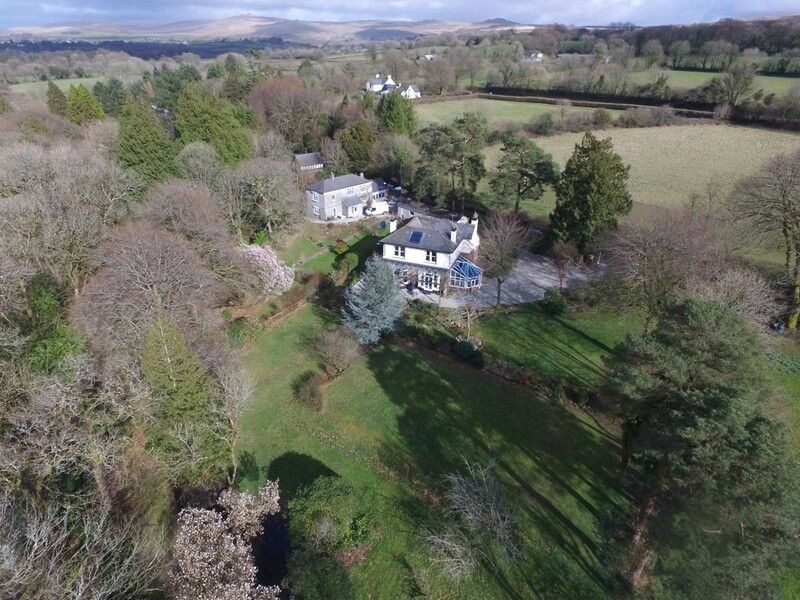 The ancient Stannary village of Lydford provides a full range of facilities including two inns, an active church, farm shop and primary school. 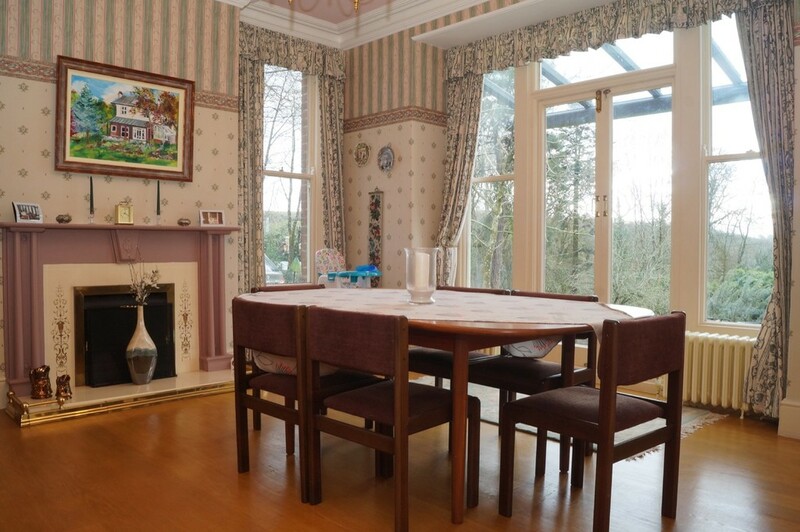 The market towns of Tavistock (8 miles away) and Okehampton (10 miles away) both have ample shopping, educational and recreational facilities. There is a regular bus service to and from both Tavistock and Okehampton. 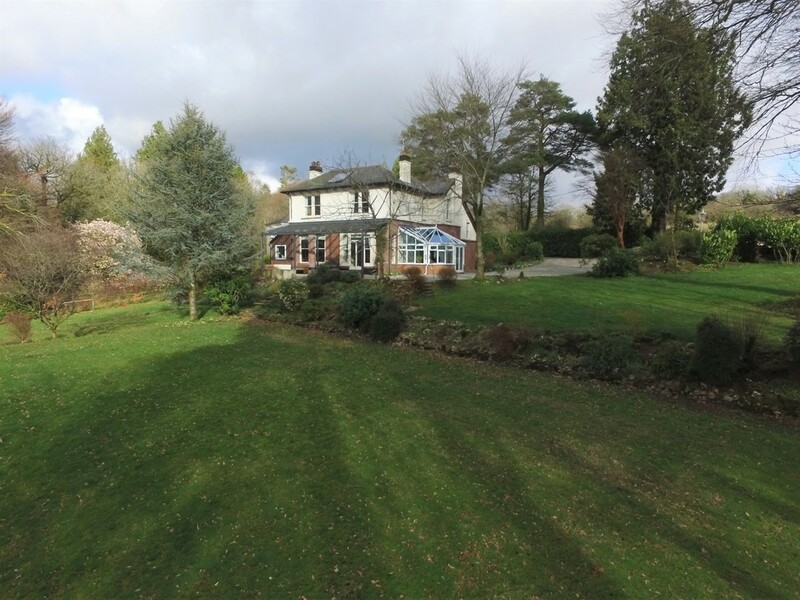 DESCRIPTION A large Edwardian country house standing in its own extensive grounds and gardens totalling approximately three acres. 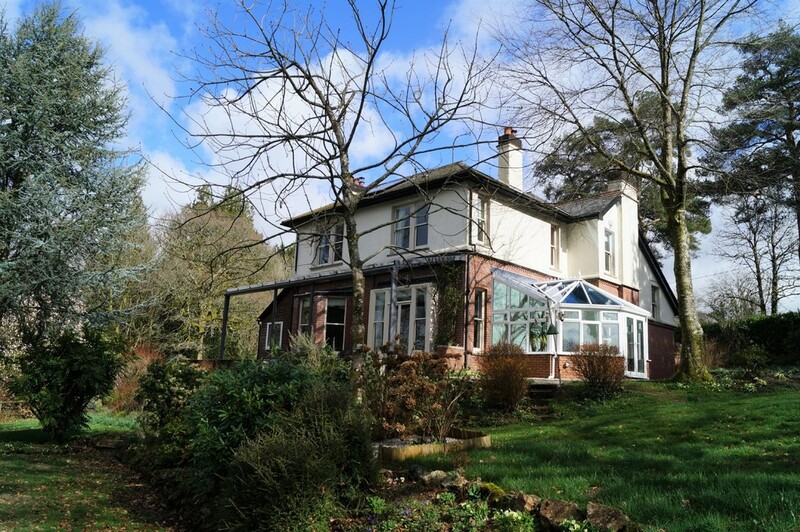 The house affords spacious and comfortable family sized living accommodation arranged over two floors with the principal rooms taking full advantage of the super views over the garden towards Lydford Gorge. 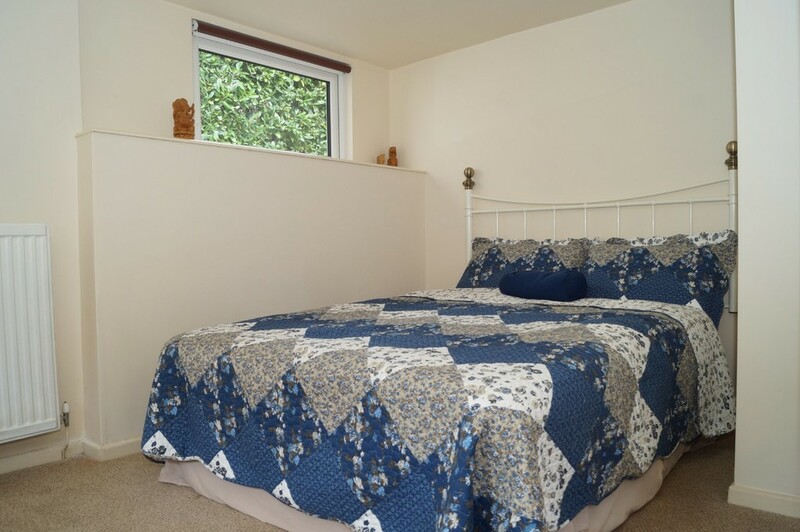 A self-contained one bedroom annexe is located at the rear of the building and would be suitable for a dependant relative, independent teenager, a holiday let or could be incorporated into the main house, as required. 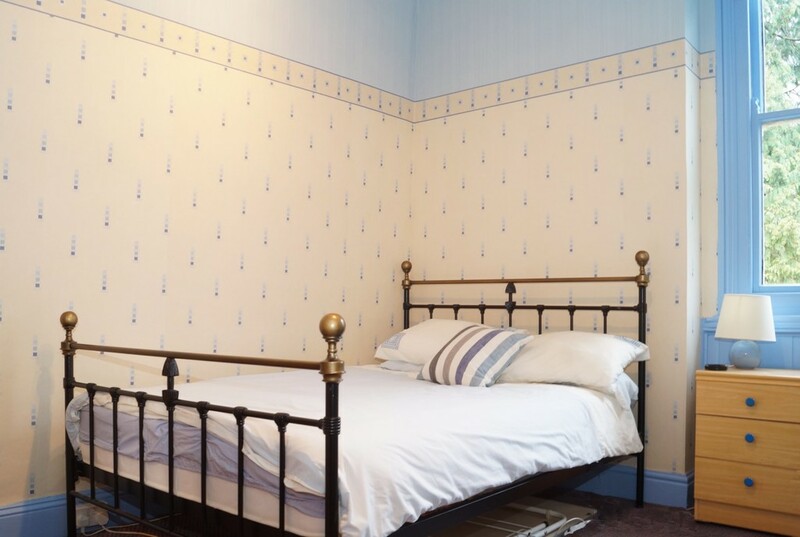 The property retains many attractive period features, including decorative plasterwork, period fireplaces and traditional joinery, including an impressive staircase with beautifully carved newel post and sweeping handrail. 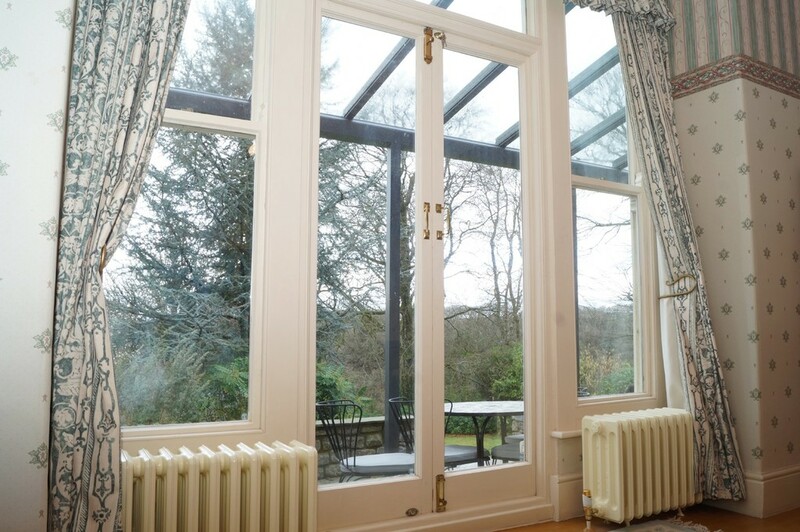 The cord sash windows have been adapted to accommodate sealed unit double glazing and the property is warmed by a highly efficient bio-mass boiler which can use seasoned logs or pellets and solar energy is harnessed by two large roof-mounted panels which heat the domestic water. 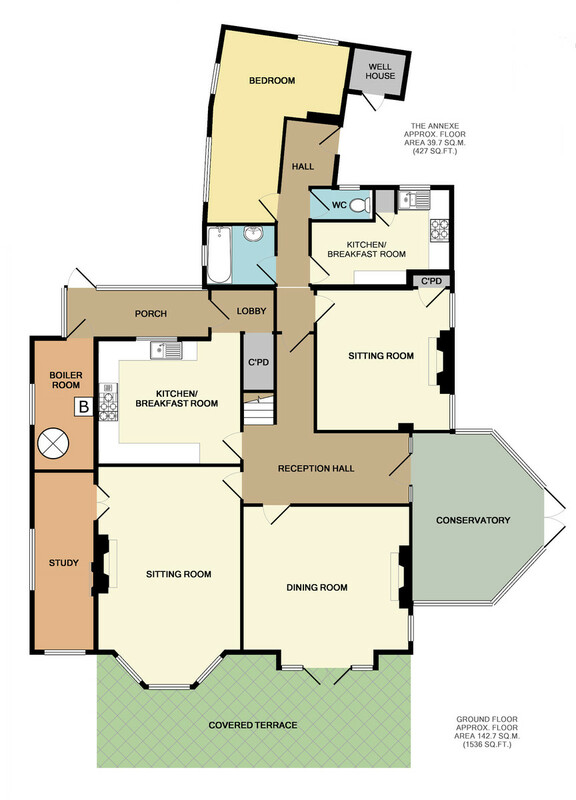 For a house of this size and age, it is particularly energy efficient which is reflected in its Band D energy performance rating. 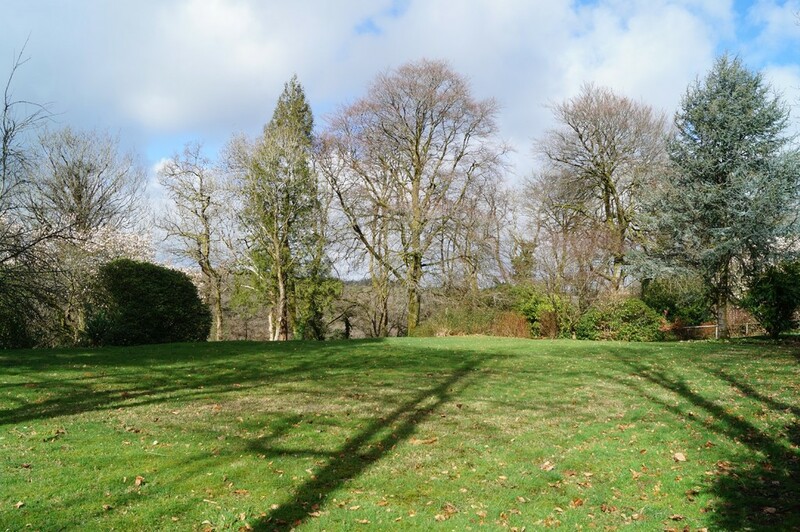 The property stands at the end of a private road which serves just three other properties. 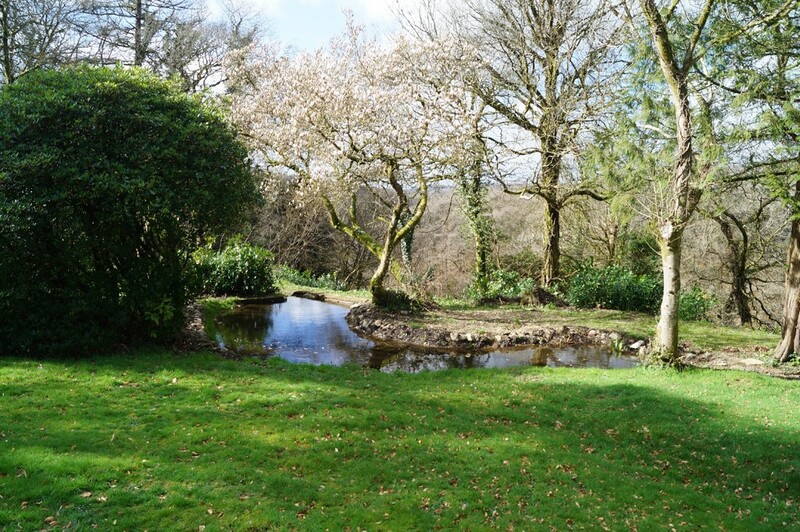 The grounds and gardens are a particularly attractive feature, extending to approximately three acres and including well tended formal gardens, a separate paddock suitable for livestock or possibly one small pony, and an area of protected woodland sloping away towards Lydford Gorge. 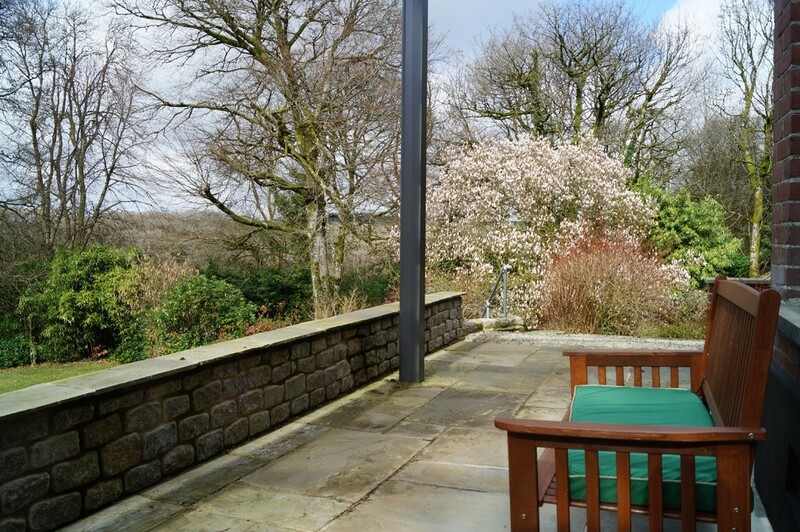 From both the house and garden, there are some super views extending along the Gorge and beyond. 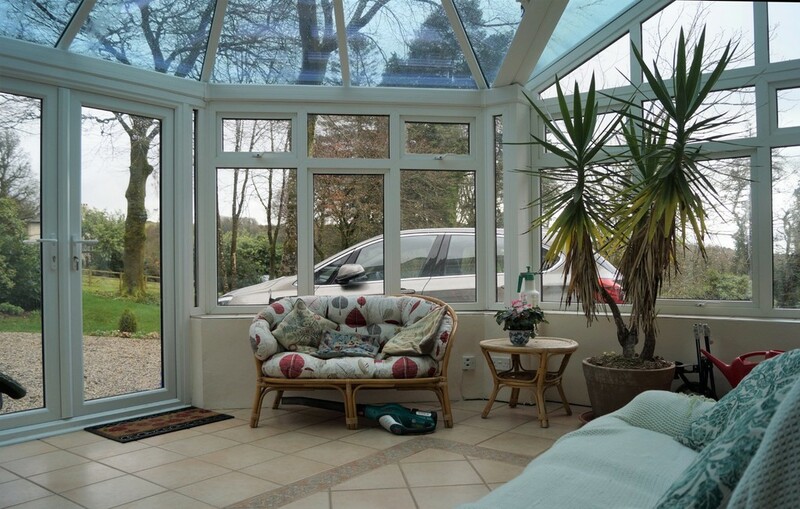 A private gravelled driveway provides ample parking and turning for several vehicles and there is a single garage at the rear. 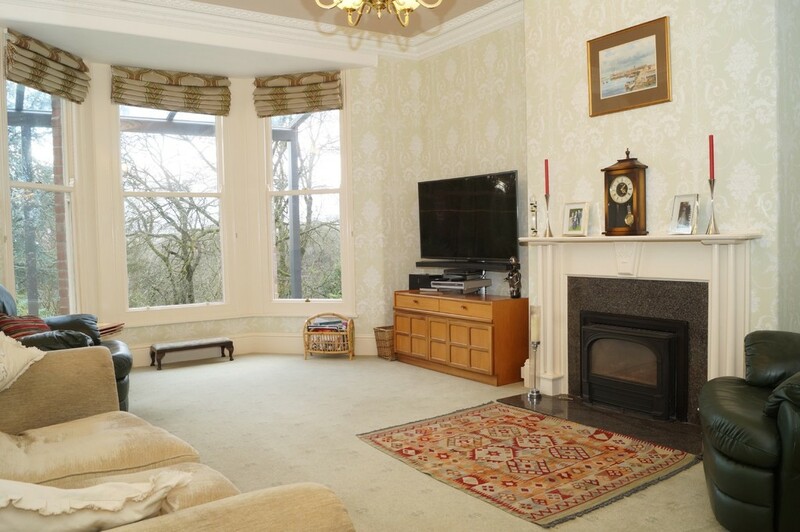 DINING ROOM 16' 2" x 14' (4.93m x 4.27m) Open fire in painted surround with decorative tiled insert and tiled hearth; plaster cornice; ornate plaster ceiling rose; oak flooring; two radiators; window to side; French doors with side windows and fanlight above to outside and the terrace. STUDY 17' 6" x 7' (5.33m x 2.13m) Decorative cast iron fireplace with dog grate; coved and textured ceiling; radiator; dual aspect windows to front and side. BOILER ROOM 12' 5" x 6' 10" (3.78m x 2.08m) Housing the bio-mass boiler and thermal heat storage tank. 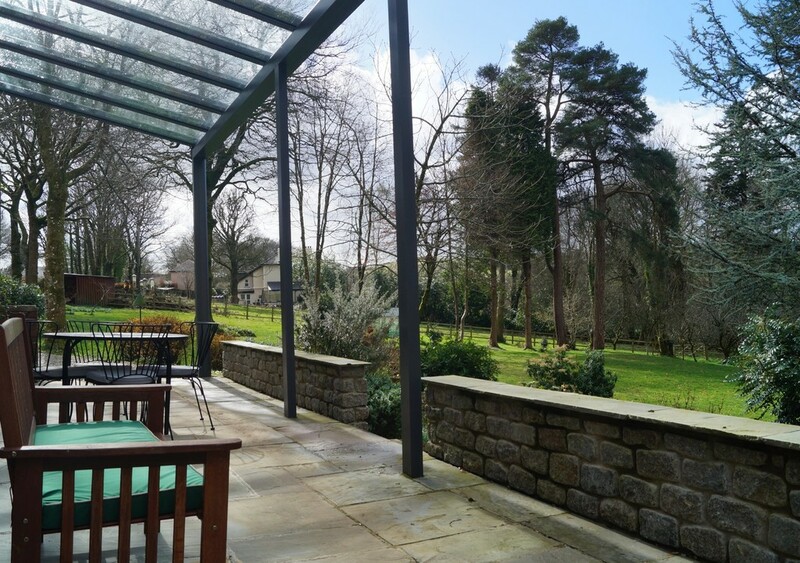 THE ANNEXE: The annexe is accessed via an internal door from the reception hall and also has its own independent access via an external door at the side of the house. 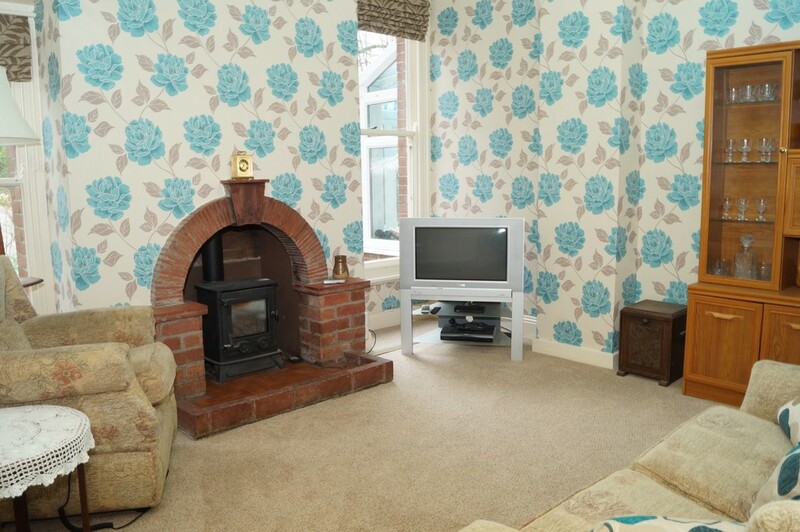 SITTING ROOM 13' 8" x 12' 10" (4.17m x 3.91m) Real flame effect (LPG) remote controlled gas stove in brick and tiled fire surround with tiled hearth; shelved storage cupboard; radiator; two windows to side. 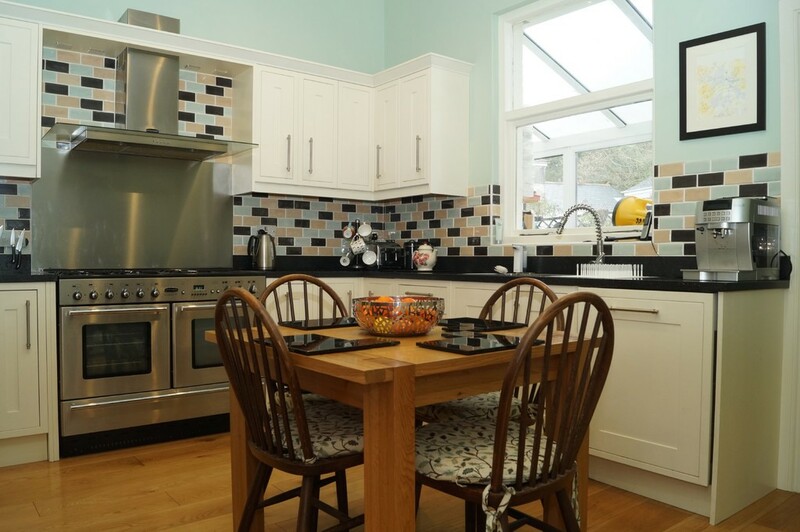 Fitted with a range of wall and base units with oak frontages and roll edge worksurfaces over, incorporating a stainless steel one and a half bowl single drainer sink unit with mixer tap over; ceramic wall tiling; single oven; four ring gas hob with extractor canopy over; space for fridge/freezer; radiator; breakfast bar; window to rear. 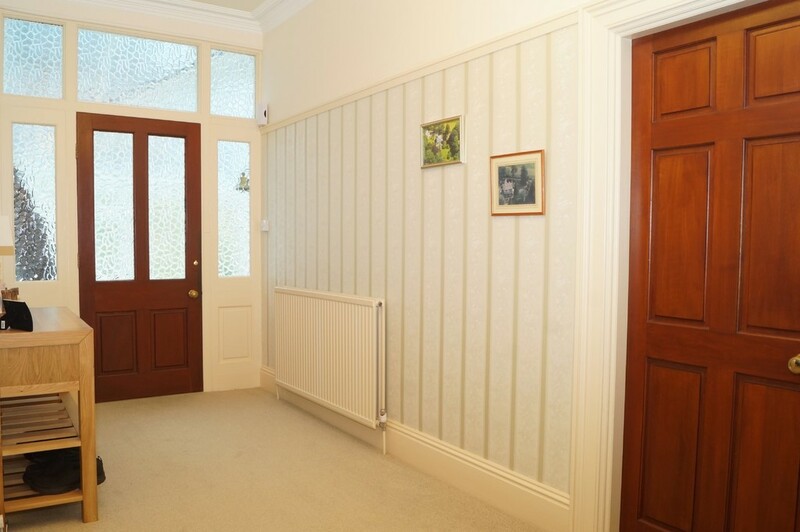 A light and airy room; radiator; dual aspect windows to side and rear. 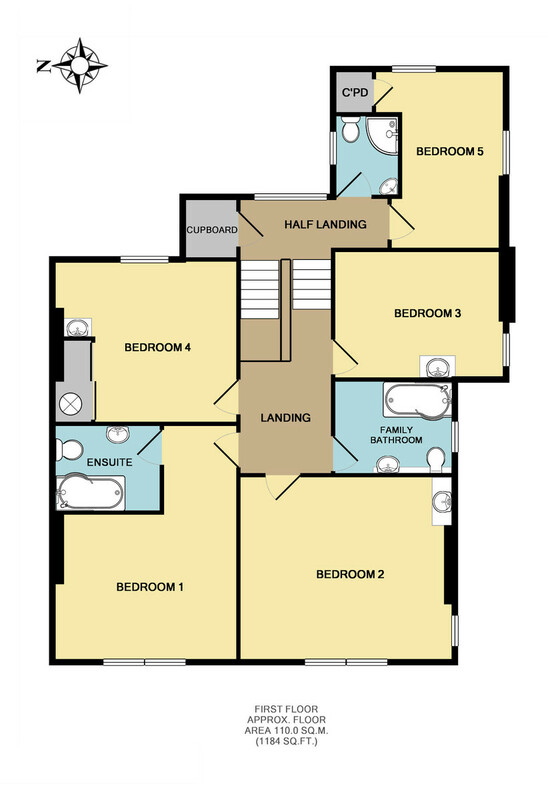 BATHROOM Fully tiled with a white suite comprising panelled bath with mixer taps and shower handset, pedestal wash handbasin; heated towel rail; extractor fan; opaque window to side. SEPARATE WC Fully tiled with a low flush WC; opaque window to rear. 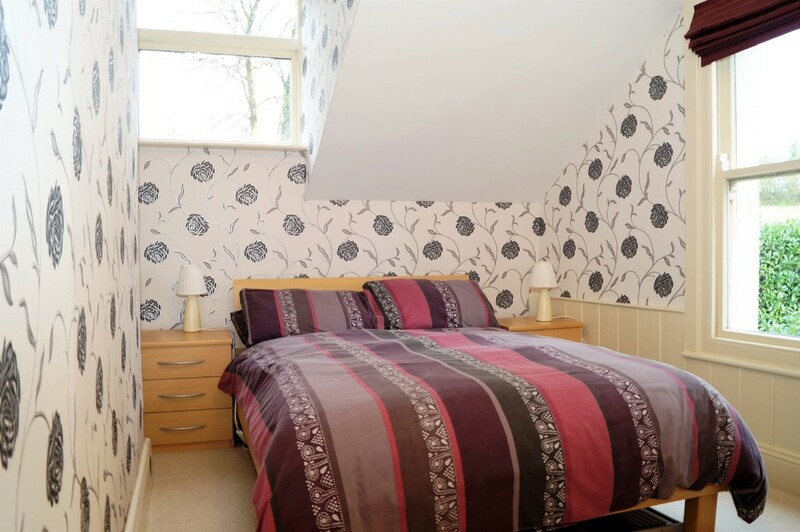 AGENT'S NOTE In our opinion, the annexe provides a high degree of versatility and could be suitable for a dependent relative, an independent teenager, housekeeper, or to provide a useful rental income. 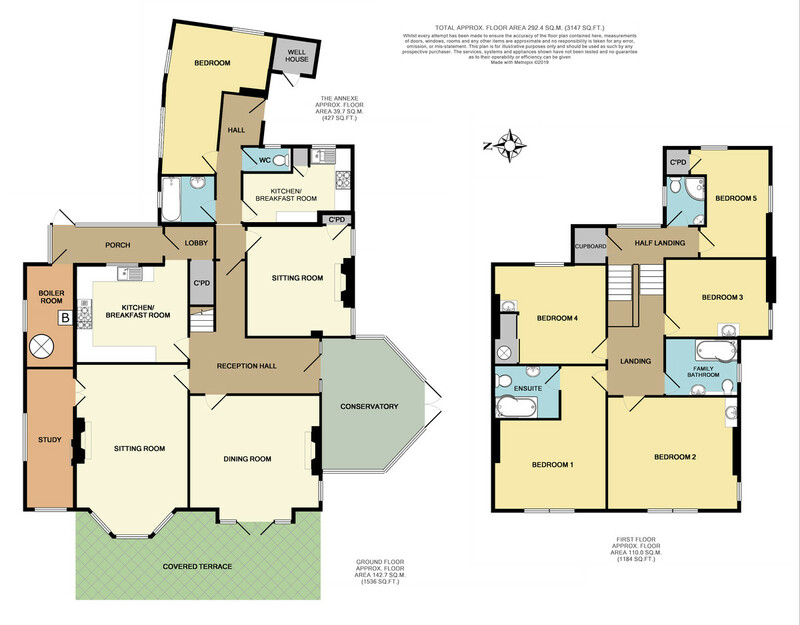 Alternatively, the annexe could easily be incorporated into the main accommodation. 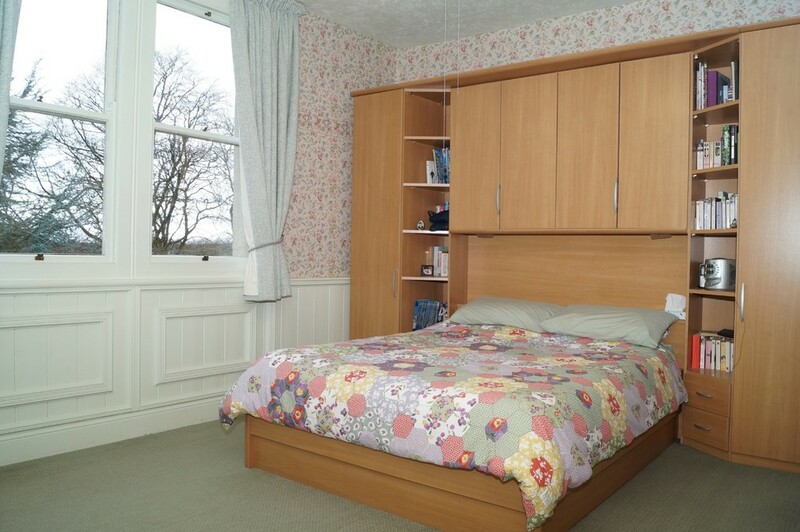 BEDROOM FIVE 13' 3" x 8' (4.04m x 2.44m) Fitted storage cupboard; dual aspect windows to side and rear. SHOWER ROOM Fully tiled with a white suite comprising vanity wash handbasin with storage cupboard under, low flush WC, corner shower cubicle with mains shower over; chrome heated towel rail; extractor fan; opaque window to side. ENSUITE Fully tiled with a white suite comprising panelled P-bath with mixer tap and shower handset with curved shower screen, pedestal wash handbasin, low flush WC; chrome heated towel rail; extractor fan; dimmable spotlighting; tiled floor. BEDROOM TWO 14' 10" x 13' 9" (4.52m x 4.19m) Vanity wash handbasin with storage cupboard under and illuminated mirror above; partly panelled walls to dado height; radiator; dual aspect windows to front and side with views. 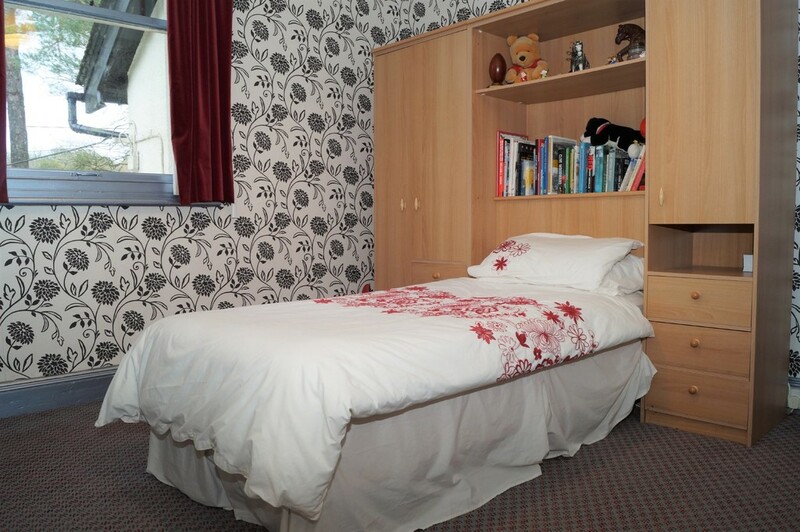 BEDROOM THREE 12' 2" x 10' (3.71m x 3.05m) Vanity wash handbasin with storage cupboard under; radiator; window to side. 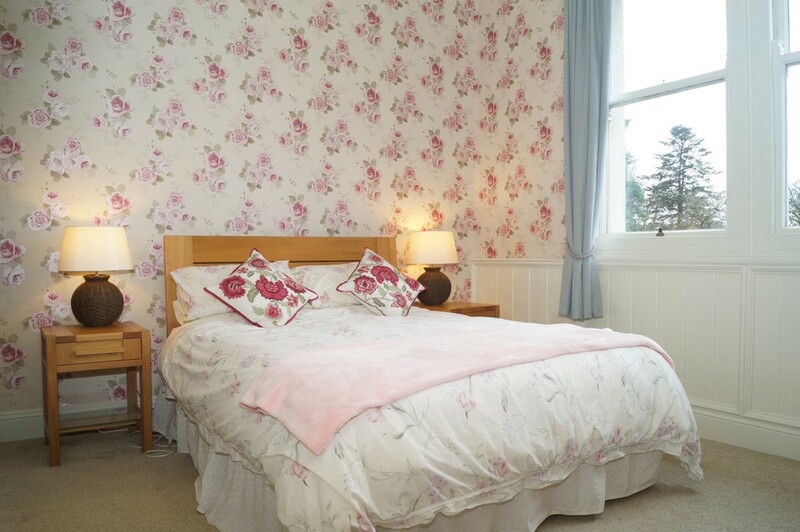 BEDROOM FOUR 14' x 12' 1" (4.27m x 3.68m) Built-in airing cupboard with mirror-fronted sliding doors housing a hot water cylinder with slatted linen shelving; vanity wash handbasin with storage cupboard under; radiator; window to rear. FAMILY BATHROOM Fully tiled with a white suite comprising panelled spa bath with mains shower over and curved shower screen, close coupled WC with concealed cistern, vanity wash handbasin with storage cupboard under and illuminated mirror/cabinet above; chrome heated towel rail; access to roof space; spotlighting; extractor fan; tiled floor with electric underfloor heating; window to side. 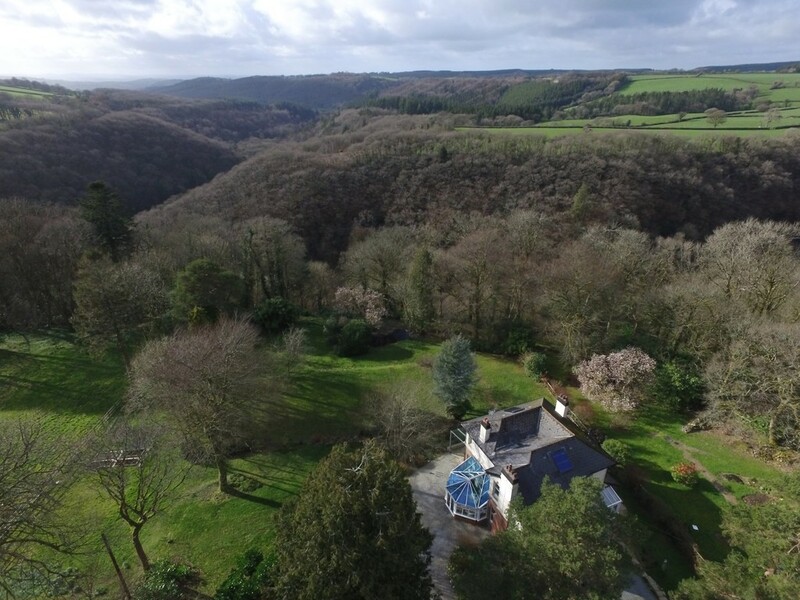 A large covered terrace (accessed from the French doors in the dining room) overlooks the garden, enjoys a sunny, southerly aspect and affords lovely views along the Lydford Gorge and beyond. 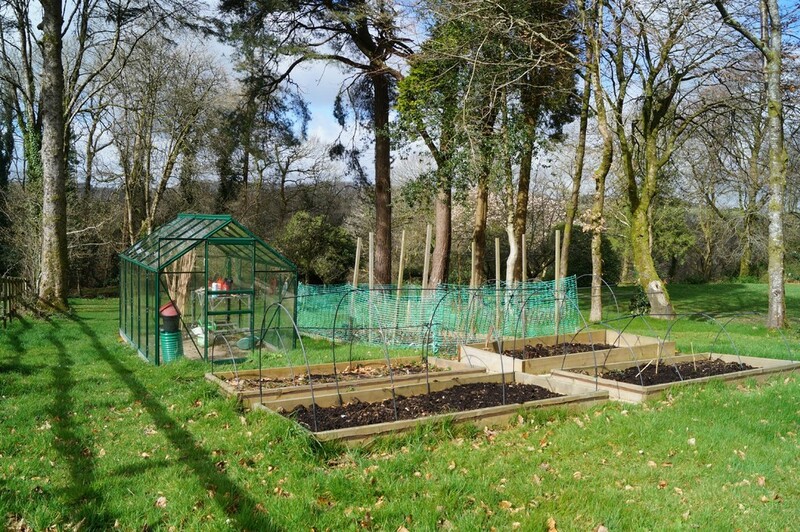 Within the garden there is a productive vegetable plot with four raised beds, a soft fruits bed and an aluminium framed greenhouse. 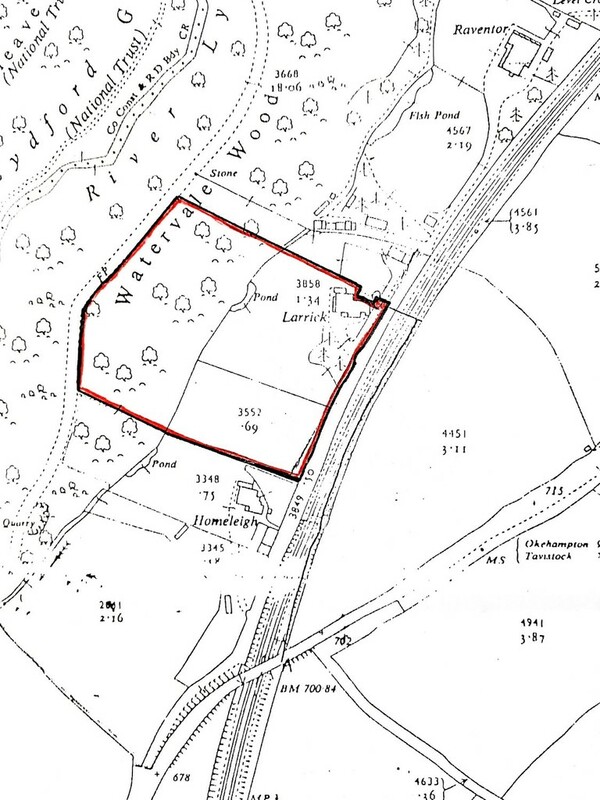 PADDOCK With separate gated access, curtailed by post and rail fencing with a large timber-built logstore in one corner. 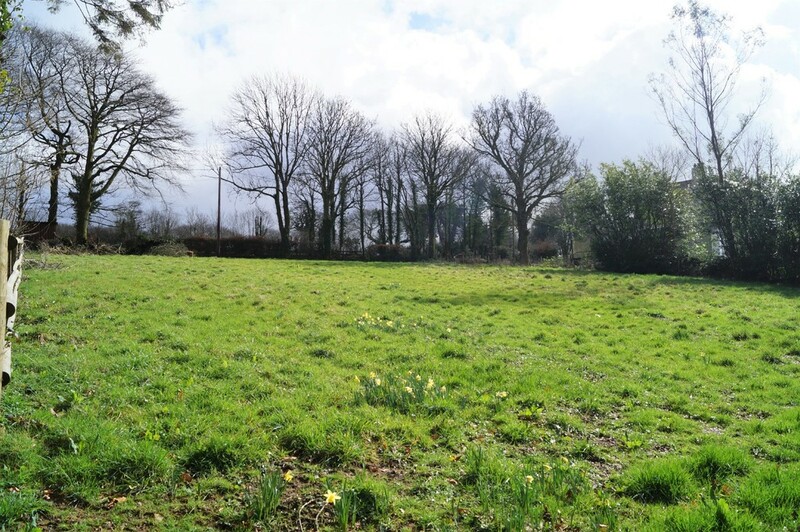 The paddock is gently sloping and appears to be well draining and would be suitable for livestock or possibly as a holding paddock for one small pony. To the rear of the house, there is a small lawn, a sheltered terrace with a raised bed herb garden and borders. GARAGE 22' x 11' (6.71m x 3.35m) An attached, larger than average single garage with electrically operated remote-controlled roller door; power and light supply; window to side; courtesy door to outside. THE WELL HOUSE The old well, which would have provided water to the house, can still be accessed but this building is now put to good use as a tool store. 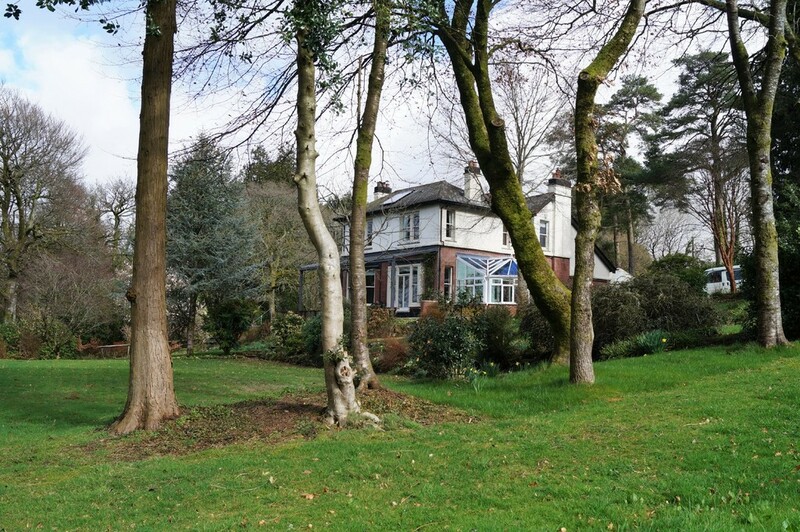 SERVICES Mains electricity, mains water, private drainage (via septic tank), LPG gas supply for the range cooker and the stove in the annexe, the bulk tank is located in the garden. 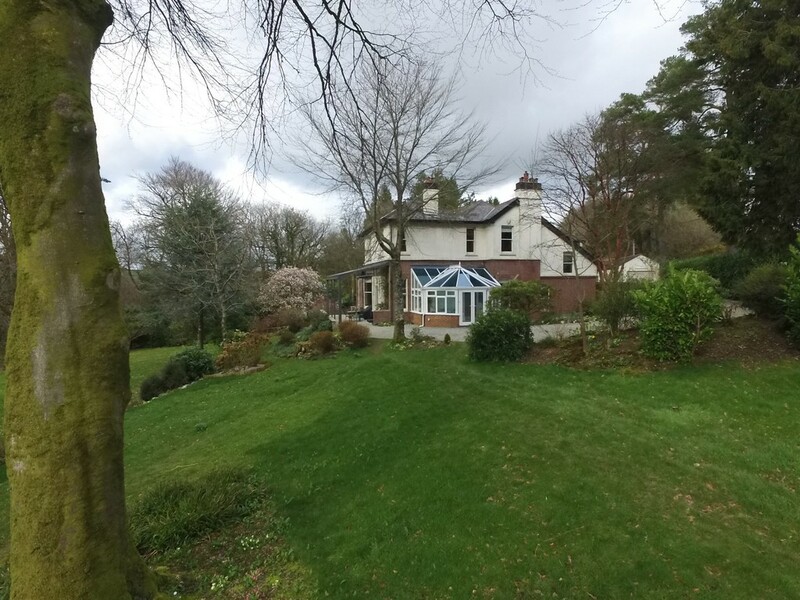 BIO-MASS BOILER Because mains gas is not available in Lydford and to avoid the rising cost of heating oil and LPG, our clients have installed a highly efficient bio-mass boiler which can be fuelled by seasoned logs or wood pellets, as preferred. 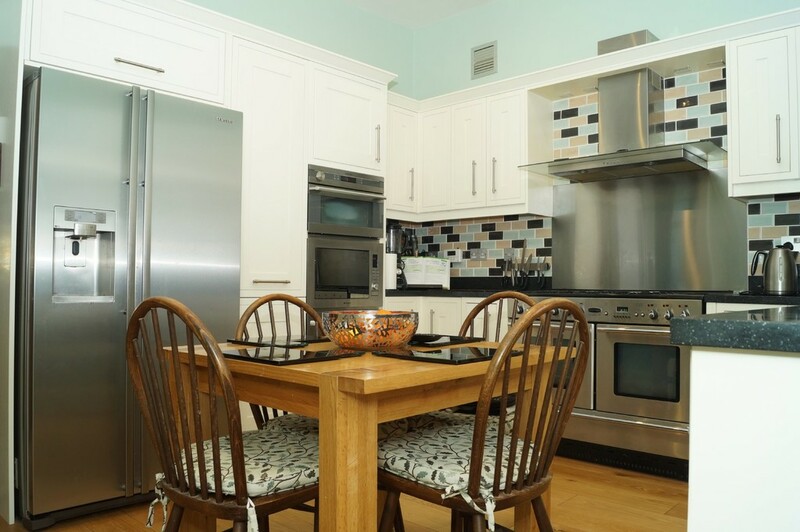 The powerful boiler serves the central heating system and domestic hot water in an energy efficient, carbon neutral way. In addition, two large solar panels have been installed, also providing domestic hot water. 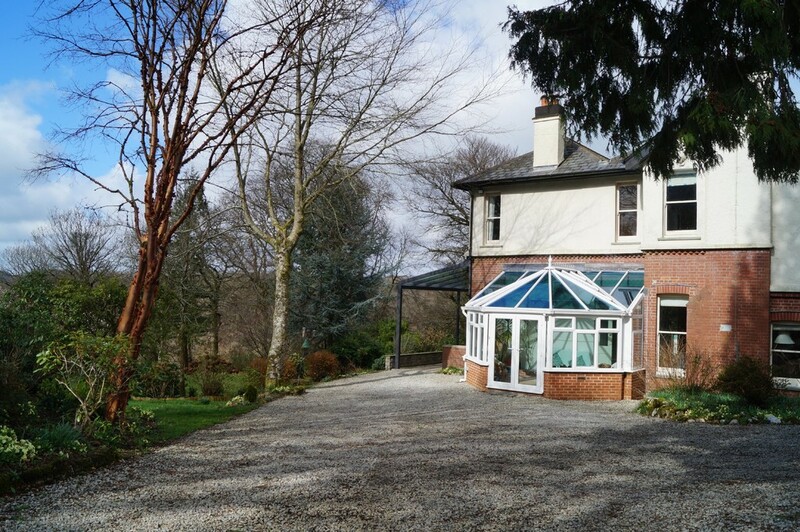 Combined with sealed unit double glazing and judicious use of insulation, this large house is surprisingly efficient and affordable to run. DIRECTIONS Leave Tavistock's Bedford Square via the Brentor road (between the Banks) and proceed towards Lydford. After approximately six miles, pass the National Trust Lydford Gorge car park on the left hand side and continue straight ahead, over a former railway bridge. Continue up the hill and around the bend. 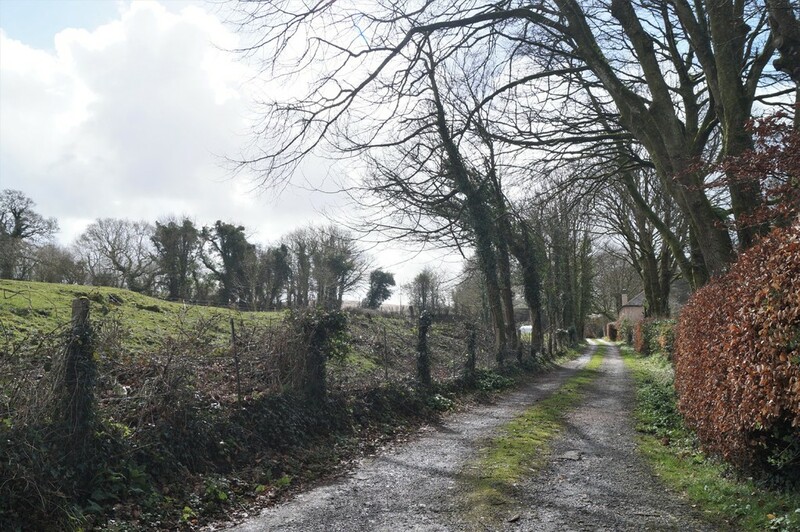 After a short distance, take the private road on the left hand side (marked by our 'For Sale' board). Proceed almost to the end of this road where the entrance to the property will be found on the left.